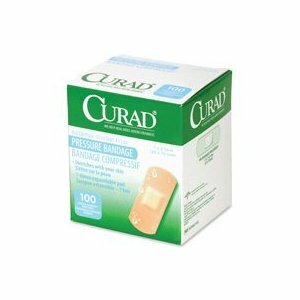 CURAD Pressure Adhesive Bandages are ideal for dialysis, chemotherapy and cardio catheter patients. CURAD Pressure Bandages are waterproof and latex free! The waterproof bandages feature a cellulose island pad that expands up to 7 times its height which provide gentle pressure to stop bleeding. The adhesive bandages seal on all 4 sides with protects from germs and dirt.